A gorgeous, glistening, vibrant, crystalline green Colombian emerald, weighing 2.17 carats, radiates from within a sparkling halo composed of bright-white round brilliant-cut diamonds, and between gleaming shoulders composed of a pair of marquise diamonds and seamlessly-set diamond baguettes, all beautifully presented in gleaming platinum. 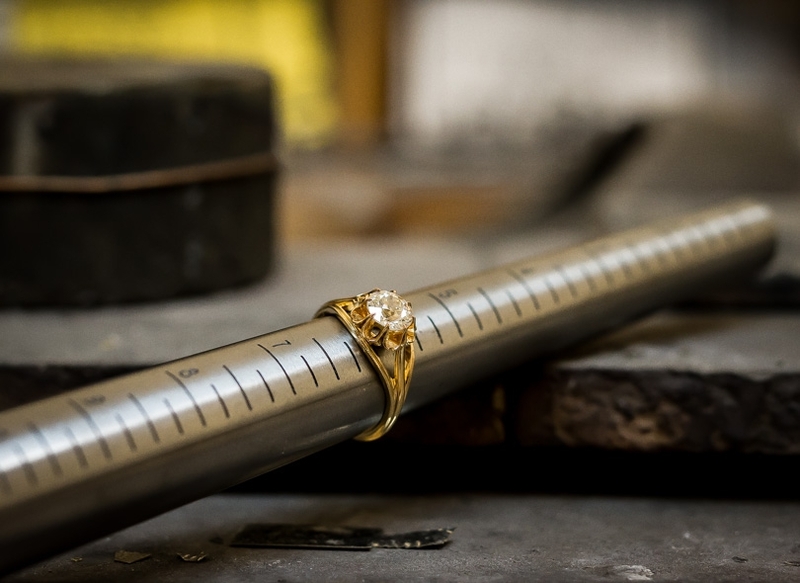 1.80 carats total diamond weight. 9/16 inch, currently ring size 6 1/4. 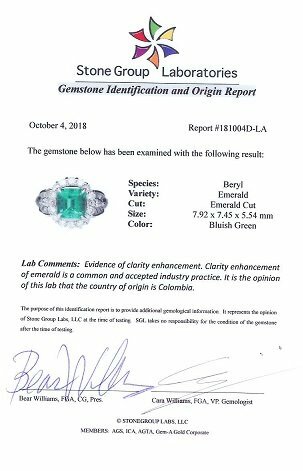 Carat Weight: 2.17 carat Because mountings prohibit full and accurate observation of gem quality and weight, all data pertaining to mounted gems can be considered as approximate unless accompanied by an independent laboratory certificate (AGL, EGL, GIA). Unless otherwise stated, all colored stones and pearls are assumed to be subject to a relatively stable and possibly undetected color and/or clarity enhancement.